Donald Smurthwaite is an author of several novels, many short stories, and numerous magazine stories. Some of his book titles include, Fine Old High Priests; The Boxmaker’s Son; The Search for Wallace Whipple; Surprising Marcus; Road to Bountiful; Letters by a Half-Moon; Do You Like Me, Julie Sloan? and A Wise, Blue Autumn. 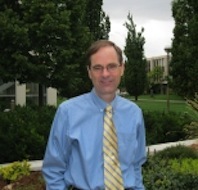 He has written a number of features for KSL.com. He is a native of Portland, Oregon, and earned his bachelor’s degree in communications from Brigham Young University. He is a member of The Church of Jesus Christ of Latter-day Saints. Smurthwaite and his wife, Shannon, are the parents of four children and live in Meridian, Idaho. This page was last edited on 29 January 2016, at 15:07.